If you are sharing a document and assume that the other person will be printing it, the best course of action is to send the document in PDF format. This ensures the layout and formatting of the original document will be maintained when it is printed. However, if it is required that you share the file as an HTML web page, you may need to convert your PDF to a web form. 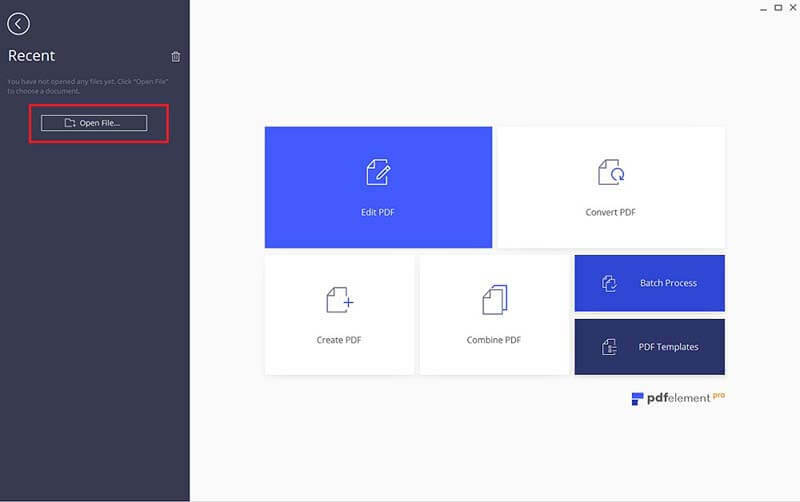 If you need to convert PDF to web form easily, a tool like PDFelement can help. 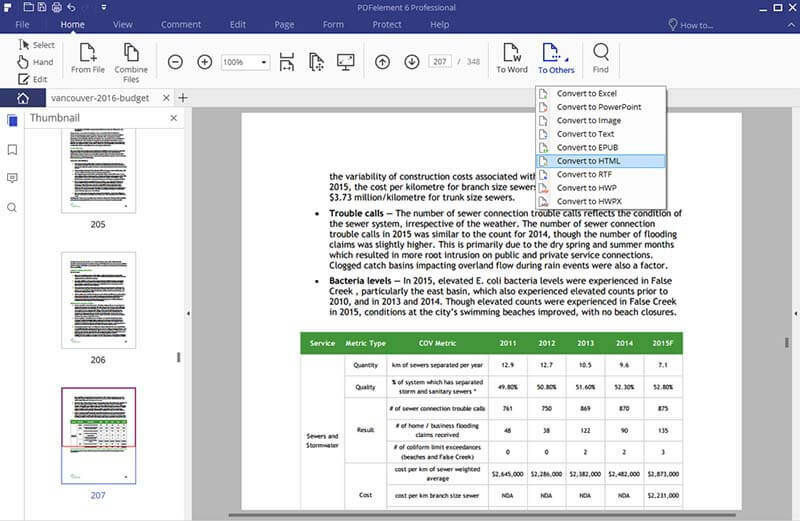 PDFelement allows you to edit, convert, create, protect, sign and print your PDF files. It is also equipped with an optional OCR plugin that allows you to transform a non-editable image into an editable and searchable digital file. PDFelement will also enhance the way you work with forms. It has powerful form editing capabilities and dynamic PDF form templates to work with. If you have been given a non-editable PDF form to fill in, use this tool to fill your form. 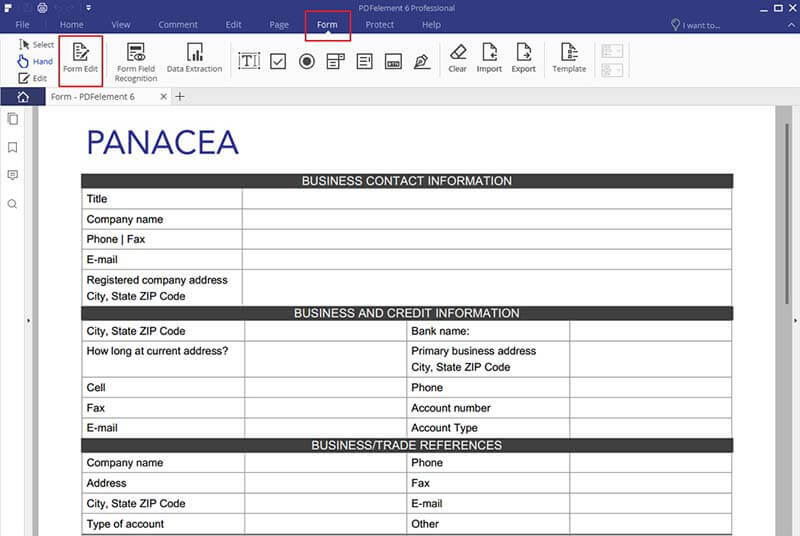 You can create forms easily with the help of interactive fields. Launch PDFelement on your computer. Find the "Open File" button to upload the PDF form. Alternatively, you can also go to the "File" menu and choose "Open" from the submenu. You can directly complete the form by clicking on each field. To edit the form, open the "Forms" tab and click the "Form Edit" button. Double-click the item you would like to edit. To undo an action, simply click the "Undo" button in the quick toolbar. Alternatively, you can clear the whole form by clicking the "Clear" button located in the "Forms" tab. Once you have finished editing the form based on your needs, you can then navigate to the "Home" tab and choose "To Others > Convert to HTML". What many do not realize is that these two file types still work well together even if there are differences, because they enhance each other. For example, to add a working link in PDF, HTML coding is embedded in the file. In other instances, a HTML-based website may need to include PDF files to convey supplementary content since its appearance can be better controlled.